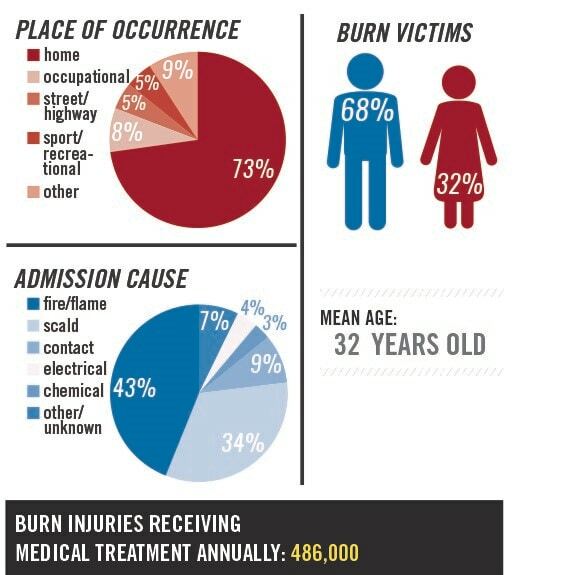 Each year, 11 million people experience the traumatizing effects of skin burns, which unfortunately leads to a quarter million in deaths and about 400,000 needing hospitalization. Although donor skin grafts are the current solution to this problem, burn victims can encounter long wait times to obtain a skin graft. Even if a patient is fortunate enough to receive a skin graft in a reasonable time, they are often rejected by the victims’ bodies after 7 to 12 days leading to more pain and an increased risk of infections. What results is an inefficient and incomplete solution to a serious problem. Many have looked to tissue engineering as a potential solution to this problem. In recent years, 3D tissue printing has arisen as an alternative measure to transform these practices, reduce the rejection rate, and increase the available treatment options for burn victims. However, the main obstacle preventing this line of treatment is that these 3D printed tissues lack the proper vascular network to survive. We are Team Tissue, a sophomore undergraduate research team in the Gemstone Honors Program and our solution is to incorporate a tissue printer with a cryogenic apparatus in order to give 3D printed tissue the necessary structural integrity to support a proper vascular network. Previous studies have mentioned that these tissues lack the structural integrity to maintain their shape. The idea behind using cryogenics is that the tissue will be frozen as soon as it hits the build plate causing it to keep its shape. This will allow the tissue to maintain a constant shape throughout the print. The research we aim to do is expensive and any help you can give will be much appreciated. The money we gain from launch will be used to construct a cryogenic environment to see if the tissue can maintain its shape. To test success, pharmaceutical grade hydrogel will be used to print the tissue in order to determine stability during the print. But before we get to the pharmaceutical grade hydrogel will be using sodium alginate for trial runs to make sure our cryogenic system can reach the desired temperatures. We hope that your support can help us accomplish our mission. Your contribution will allow us to purchase glassware to make our hydrogel and culture cells. This includes common equipment such as beakers, graduated cylinders, and petri dishes. Your contribution will allow us to purchase sodium alginate which is an inexpensive hydrogel that will be used to run trials to test our cryogenic setup. Your contribution will allow us to purchase the equipment to build the cryogenic setup. This step is the foundation of our project. This can include hypodermic needles, dry ice, and liquid nitrogen. Your contribution will allow us to purchase the equipment necessary to measure the effectiveness of our cryogenic setup. This includes thermocouples, Arduino kits, and temperature gauges to constantly monitor the temperature throughout each trial. Your contribution will allow us to purchase the pharmaceutical hydrogel necessary to successfully print tissue with our modifications.